Early coal mines had little to no ventilation systems and were very dangerous places to work. According to legend, miners would bring a caged canary into the mines with them in hopes that these little birds would sound an alarm and save lives. 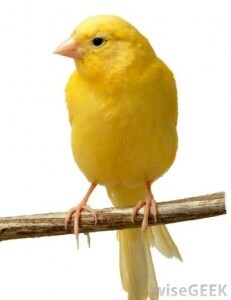 Canaries are known to be extremely sensitive to the smell of methane and carbon monoxide, lethal gases in a mine shaft, and thus they were an ideal way to detect dangerous gas build-up in the mines. As long as the canaries kept chirping and singing the miners knew that their air supply was safe. However, a quiet or dead canary was a signal for immediate evacuation. Coral bleaching is the underwater equivalent of the “canary in a coal mine” as it visually shows one important impact of global warming, in this case to our ocean’s coral reefs. Global warming, in recent decades, has caused many problems to our planet, including rising sea levels. One of the most profound changes that our planet faces today is happening in an environment that most people can’t see, as they go about their day-to-day lives, without a snorkel and a dive mask under water in our oceans. In a scientific sense, coral bleaching happens when coral loses some or all of the microscopic algae organisms, known as zooxanthellae, which live on their surface. That algae not only provides the coral the color you see with your eye, but also is a vital food source for a range of flora and fauna that rely on it to survive and, in turn, the algae impacts our entire food chain. Zooxanthellae, shown here, has a symbiotic relationship with coral. During the day, zooxanthellae photosynthesizes and coral polyps benefit from the nutrients that come from photosynthesis. In turn, the algae benefits from nitrogen, phosphorous, and carbon dioxide waste produced by the coral, which is required for its growth. If the rate of photosynthetic production is too high, the corals have the ability to control the amount of zooxanthellae in their tissues by expelling it, a natural process that leads to what is often called coral bleaching. Mark Eakin, NOAA’s Coral Reef Watch Coordinator, July 7th, 2015. According to research concluded in the 1990’s (Glynn & D’Croz) mass coral bleaching can take place when surface water temperatures increase well beyond their normal summer range for a prolonged period of time. While usually a natural phenomenon in small doses, mass coral bleaching of the type that has begun happening all over our planet, stresses coral beyond their breaking (or recovery) point causing them to expel more zooxanthellae than typically necessary. Stress to corals can be caused by el Nino and la Nina events, a change in ocean currents, changes in phytoplankton and zooplankton populations, the amount of nutrients present in water, increase and decrease in water temperature, water salinity, and air temperatures, buildup of carbon dioxide, exposure to increased ultraviolet radiation, and an increase or decrease in light levels and water turbulence. Coral Reefs are not only important to the seas and oceans, but to humans and wildlife as well. Coral reefs are used all over the world by thousands of marine species for food and shelter, which in turn support recreational and commercial fishing. Reefs are also hotspots for the tourism industry, keeping locations such as Australia and Florida with a steady tourism income estimated in the billions annually. Coral reefs also form a breakwater for adjacent coasts, providing natural protection from storm surges. This barrier helps protect the coasts during hurricanes and other massive anomalies, but if most corals are being bleached and die, then we will lose our barrier and are more susceptible to damaged and receding coastlines. 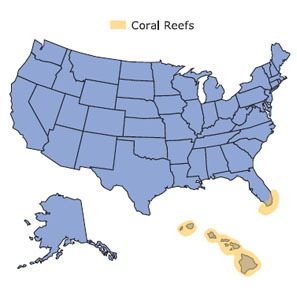 In addition to causing sea levels to rise, global warming is taking direct aim on our ocean’s coral reefs and in the United States that means Hawaii and Florida, the two states with living coral reef systems. Between Miami’s Key Biscayne and the Dry Tortugas, the Florida Keys contain an estimated 6,000 coral reefs, the third largest reef system on the planet. Within this coral reef system there are an estimated 100 different coral species along with hundreds, perhaps thousands, of sea creatures. In fact, world-wide coral reefs are home or shelter to 25% of all of the fish in the ocean, an estimated two million marine animals. According to the National Wildlife Federation, in just one year 16% of the world’s coral reefs were wiped out. The Federation predicts that a change in sea temperature of just 1 degree Celsius could cause a similar result. The National Oceanic and Atmospheric Administration (NOAA) has even created a coral bleaching alarm system. The system uses sea surface temperature data collected by satellite to predict mass coral bleaching. Another threat to our precious coral reefs comes from increasing acidification from carbon dioxide that is released into our atmosphere. Scientist predict that 1/3 of all carbon that is released into our atmosphere ends up in our oceans and that if carbon in our atmosphere is doubled then some corals will see their ability to create calcium reduce by an estimated 50%. The next time you look ‘up’ into the sky and ponder the impact to our planet from global warming, the ozone layer and other celestial thoughts, don’t forget to consider looking ‘down’ into our oceans, because the damage being done, and that damage being an indication of what the future holds, can be seen right before your dive mask. And until then, tell a friend what global warming is doing to our planet, the part you can see and the part just under the water’s surface. Japan’s largest coral reef system has become the latest casualty in a long series of coral bleaching events around the world. More than 90 percent of coral in the Sekisei Lagoon, located in the Okinawa prefecture, has bleached, according to a new survey just released by Japan’s Ministry of the Environment. 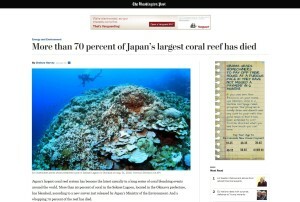 And a whopping 70 percent of the reef has died. 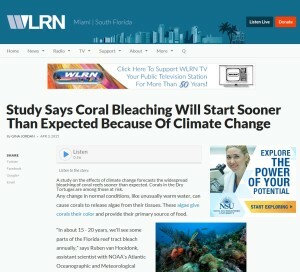 It’s the worst news yet in a bleaching event that’s been going on for months now. We knew this news was coming, perhaps. Now that it is here, it is no less shocking. Ever since a historic coral bleaching event hit the treasured Great Barrier Reef in March — courtesy of a dramatic influx of warm water in the region — scientists have been trying to take a toll of the damage. 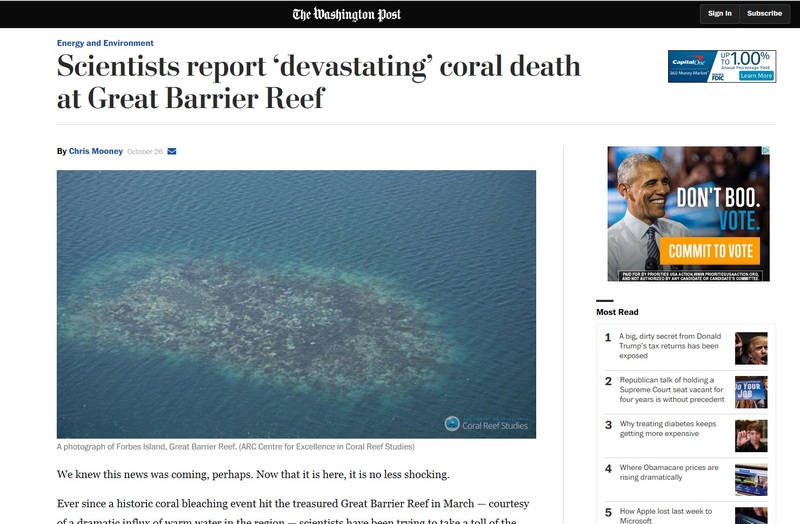 And the latest report, from researchers with the ARC Centre of Excellence for Coral Reef Studies at James Cook University in Queensland, seems to reaffirm some of the worst fears. Sometimes, it seems, the only news about our most fragile ecosystems is bad news. 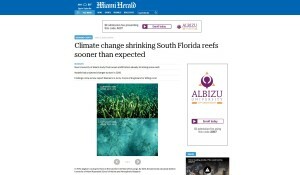 The latest example is the deterioration of South Florida’s coral reef: First, it’s disintegrating at a faster rate than expected because of climate change. Second, dredging by the U.S. Corps of Engineers in the section underlying PortMiami has made matters worse. 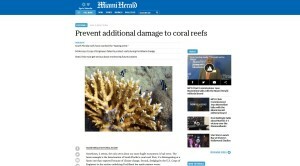 South Florida’s shrinking reefs may be vanishing faster than expected. 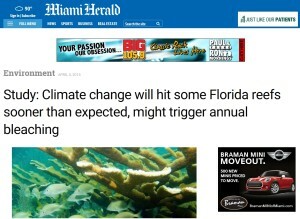 In a new study published on May 2nd in the journal Global Biogeochemical Cycles, researchers found that climate-related coral erosion projected to start between 2050 and 2060 has already started near Miami. 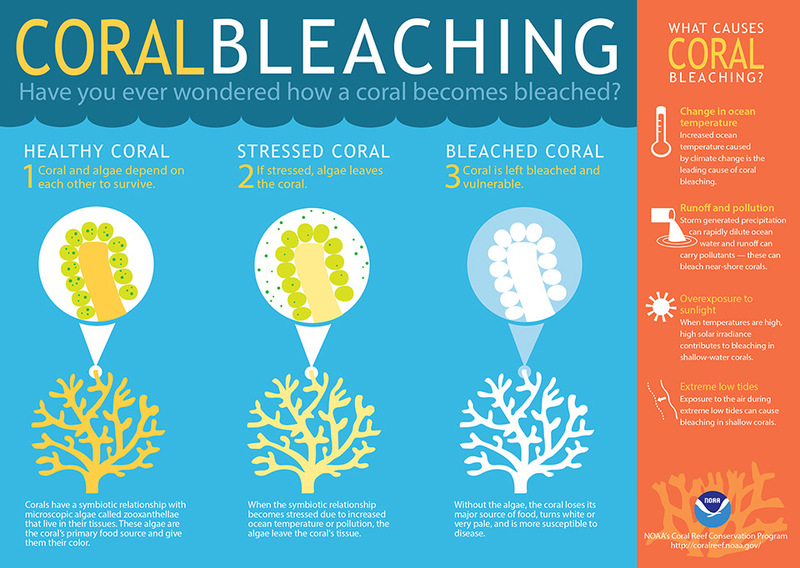 Coral Bleaching: What is it, and Why Does it Occur? When corals lose their color, it is known as “coral bleaching”. 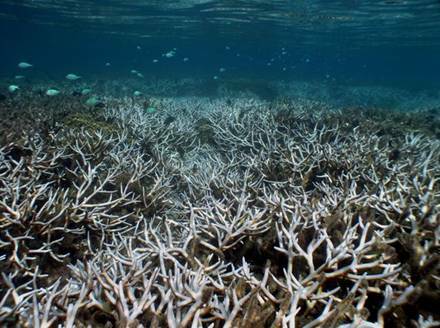 Coral bleaching became an issue when it was first observed on coral reefs in the South Pacific in the 1990’s. 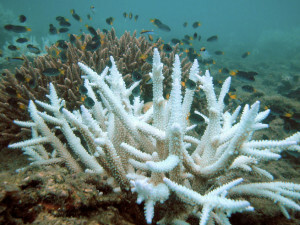 Coral bleaching also occurs in saltwater reef aquariums. So what exactly is coral bleaching? A study on the effects of climate change forecasts the widespread bleaching of coral reefs sooner than expected. 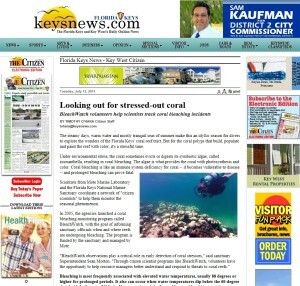 Corals in the Dry Tortugas are among those at risk. Any change in normal conditions, like unusually warm water, can cause corals to release algae from their tissues. 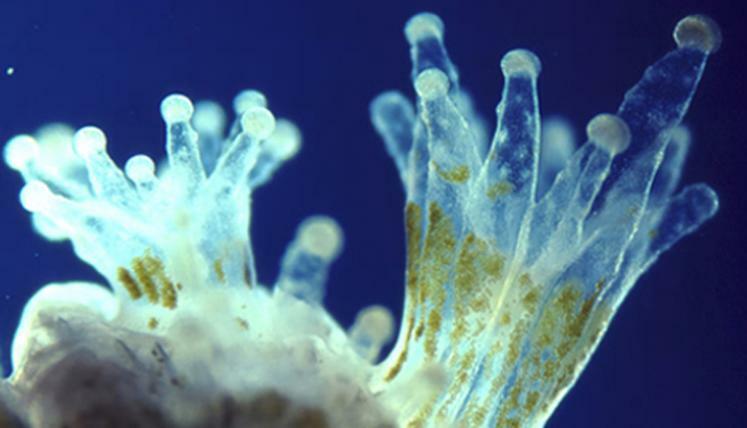 These algae give corals their color and provide their primary source of food. Parts of Florida’s vast coral reefs, including a pristine tract in the Dry Tortugas, might get seared by climate change as early as 2030 — about a dozen years sooner than scientists previously projected. The steamy days, warm water and mostly tranquil seas of summer make this an idyllic season for divers to explore the wonders of the Florida Keys’ coral reef tract. But for the coral polyps that build, populate and paint the reef with color, it’s a stressful time. The recent calm days on the ocean might be good for diving and boating, but they are beginning to take their toll on the coral reef. 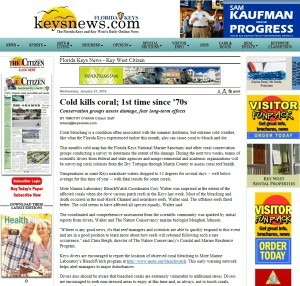 Many corals off the Florida Keys have begun to show signs of bleaching and paling, scientists and divers said. A new study that shows coral bleaching events will become more prevalent and severe in the next 15 years is underscoring the importance of the restoration work pioneered by Florida Keys researchers. 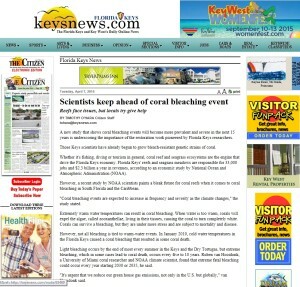 Those Keys scientists have already begun to grow bleach-resistant genetic strains of coral.